This website was created by Michael Collins on 19 August 2001. Accused Nazi war criminal Juozas Kisielaitis lives in Montreal Quebec Canada Joseph Kisielaitis was a member of the 2nd Lithuanian Auxiliary Police Battalion which later became the 12th Schutzmannschaft Battalion Juozas "Joseph" KISIELAITIS was born on 23 November 1920 in Lithuania. During 1941, Kisielaitis volunteered for the Lithuanian 2nd "Auxiliary Police Service Battalion" (later known as the 12th Lithuanian Schutzmannschaft Battalion). Although Kisielaitis claims to have been a "tailor", assigned to the Battalion's Headquarters area, documents in the possession of the U.S. and Canadian governments appear to show that Kisielaitis was in fact a "rifleman". During 1941 and 1942, Kisielaitis' battalion assisted in the murder of at least 130,000, primarily Jewish, men, women and children in Lithuania and elsewhere. The battalion later assisted in the murders of more than 30,000 Jews, Gypsies and other civilians in Byelorussia (now Belarus).Accused Nazi war criminal Juozas Kisielaitis lives in Montreal Quebec Canada Joseph Kisielaitis was a member of the 2nd Lithuanian Auxiliary Police Battalion which later became the 12th Schutzmannschaft Battalion Juozas "Joseph" KISIELAITIS was born on 23 November 1920 in Lithuania. During 1941, Kisielaitis volunteered for the Lithuanian 2nd "Auxiliary Police Service Battalion" (later known as the 12th Lithuanian Schutzmannschaft Battalion). Although Kisielaitis claims to have been a "tailor", assigned to the Battalion's Headquarters area, documents in the possession of the U.S. and Canadian governments appear to show that Kisielaitis was in fact a "rifleman". During 1941 and 1942, Kisielaitis' battalion assisted in the murder of at least 130,000, primarily Jewish, men, women and children in Lithuania and elsewhere. The battalion later assisted in the murders of more than 30,000 Jews, Gypsies and other civilians in Byelorussia (now Belarus).Accused Nazi war criminal Juozas Kisielaitis lives in Montreal Quebec Canada Joseph Kisielaitis was a member of the 2nd Lithuanian Auxiliary Police Battalion which later became the 12th Schutzmannschaft Battalion Juozas "Joseph" KISIELAITIS was born on 23 November 1920 in Lithuania. During 1941, Kisielaitis volunteered for the Lithuanian 2nd "Auxiliary Police Service Battalion" (later known as the 12th Lithuanian Schutzmannschaft Battalion). 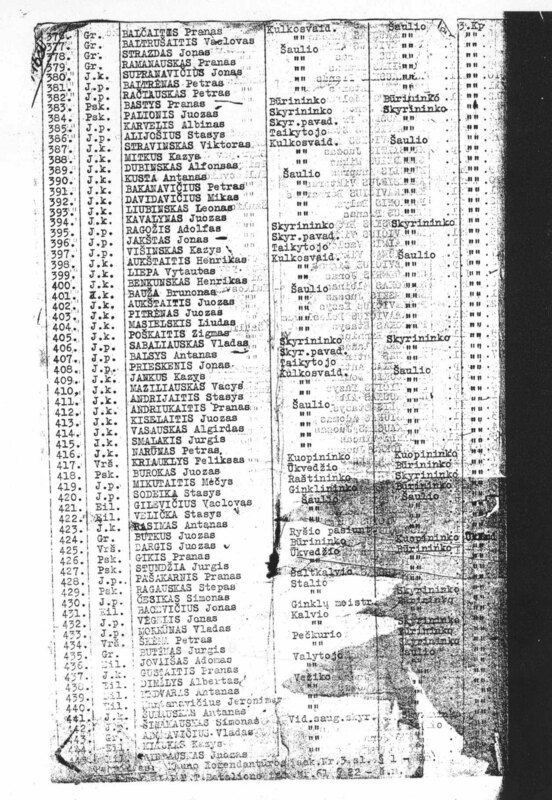 Although Kisielaitis claims to have been a "tailor", assigned to the Battalion's Headquarters area, documents in the possession of the U.S. and Canadian governments appear to show that Kisielaitis was in fact a "rifleman". During 1941 and 1942, Kisielaitis' battalion assisted in the murder of at least 130,000, primarily Jewish, men, women and children in Lithuania and elsewhere. The battalion later assisted in the murders of more than 30,000 Jews, Gypsies and other civilians in Byelorussia (now Belarus). 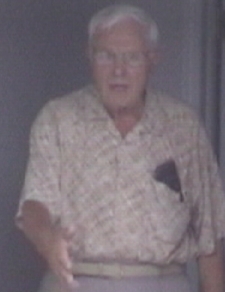 Accused Nazi war criminal Juozas Kisielaitis lives in Montreal Quebec Canada Joseph Kisielaitis was a member of the 2nd Lithuanian Auxiliary Police Battalion which later became the 12th Schutzmannschaft Battalion Juozas "Joseph" KISIELAITIS was born on 23 November 1920 in Lithuania. During 1941, Kisielaitis volunteered for the Lithuanian 2nd "Auxiliary Police Service Battalion" (later known as the 12th Lithuanian Schutzmannschaft Battalion). Although Kisielaitis claims to have been a "tailor", assigned to the Battalion's Headquarters area, documents in the possession of the U.S. and Canadian governments appear to show that Kisielaitis was in fact a "rifleman". During 1941 and 1942, Kisielaitis' battalion assisted in the murder of at least 130,000, primarily Jewish, men, women and children in Lithuania and elsewhere. The battalion later assisted in the murders of more than 30,000 Jews, Gypsies and other civilians in Byelorussia (now Belarus).Accused Nazi war criminal Juozas Kisielaitis lives in Montreal Quebec Canada Joseph Kisielaitis was a member of the 2nd Lithuanian Auxiliary Police Battalion which later became the 12th Schutzmannschaft Battalion Juozas "Joseph" KISIELAITIS was born on 23 November 1920 in Lithuania. During 1941, Kisielaitis volunteered for the Lithuanian 2nd "Auxiliary Police Service Battalion" (later known as the 12th Lithuanian Schutzmannschaft Battalion). Although Kisielaitis claims to have been a "tailor", assigned to the Battalion's Headquarters area, documents in the possession of the U.S. and Canadian governments appear to show that Kisielaitis was in fact a "rifleman". 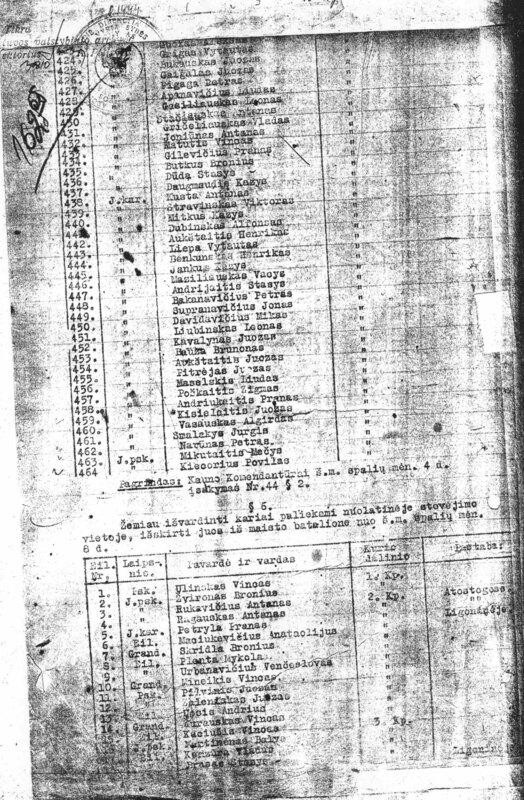 During 1941 and 1942, Kisielaitis' battalion assisted in the murder of at least 130,000, primarily Jewish, men, women and children in Lithuania and elsewhere. The battalion later assisted in the murders of more than 30,000 Jews, Gypsies and other civilians in Byelorussia (now Belarus).Accused Nazi war criminal Juozas Kisielaitis lives in Montreal Quebec Canada Joseph Kisielaitis was a member of the 2nd Lithuanian Auxiliary Police Battalion which later became the 12th Schutzmannschaft Battalion Juozas "Joseph" KISIELAITIS was born on 23 November 1920 in Lithuania. During 1941, Kisielaitis volunteered for the Lithuanian 2nd "Auxiliary Police Service Battalion" (later known as the 12th Lithuanian Schutzmannschaft Battalion). Although Kisielaitis claims to have been a "tailor", assigned to the Battalion's Headquarters area, documents in the possession of the U.S. and Canadian governments appear to show that Kisielaitis was in fact a "rifleman". During 1941 and 1942, Kisielaitis' battalion assisted in the murder of at least 130,000, primarily Jewish, men, women and children in Lithuania and elsewhere. The battalion later assisted in the murders of more than 30,000 Jews, Gypsies and other civilians in Byelorussia (now Belarus).